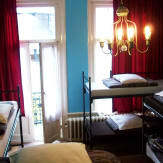 Hostel Annemarie provides budget accommodation in the heart of Amsterdam. 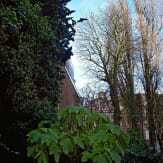 Beside the hostel you will find Van Gogh Museum and Vondelpark. Other well known attractions close by include Leidseplein, Museumsquare, the Flower Market, Dam Square, Rembrandsquare, Anne Frank House, Madam Tussauds, Rembrandhouse and many other interesting attractions. Many pubs, coffee shops and clubs can be easily accessed. The Rijks Museum and the Museum of Modern Art are within 200 meters also. Make some time to also visit the Heineken Brewery and taste the local beer free of charge. Our central location makes it easy for you to take a trip to places such as Haarlem, Alkmaar and Volendam for a chance to experience other Duthch cities. Our international staff is multilingual, helpful and friendly, willing to advise you on tips and give you information about Amsterdam, providing free city maps and walking tours as well as an excellent service. There is a supermarket nearby with reasonable prices on food which can save you a few Euros. Laundry service can be found nearby. Other services include no curfew, big screen TV in the common room and there is WiFi in the rooms also. 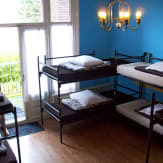 Guests must be over 16 and pets are not allowed in the hostel and the hostel is safe, clean and has a fun atmosphere. Here you will meet people from all over the world visiting the city. Please try to check-in on time and if you will be late, please inform us in advance. We accept cash as the only method of payment on arrival. The price does not include city tax of 5%. Cancellations must be made 72 hours before the date of arrival; however if guests are travelling in a group, a week's notice is required for cancellation and cancellations can only be done by email for both individual and group bookings. 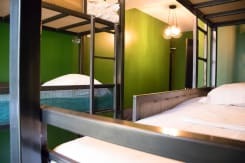 For holidays such as Queensday (29th, 30th April and 1st May) there is a minimum stay of 3 nights. Ester and New Years' (30th Dec-3rd Jan) periods require a minimum of 4 nights stay. 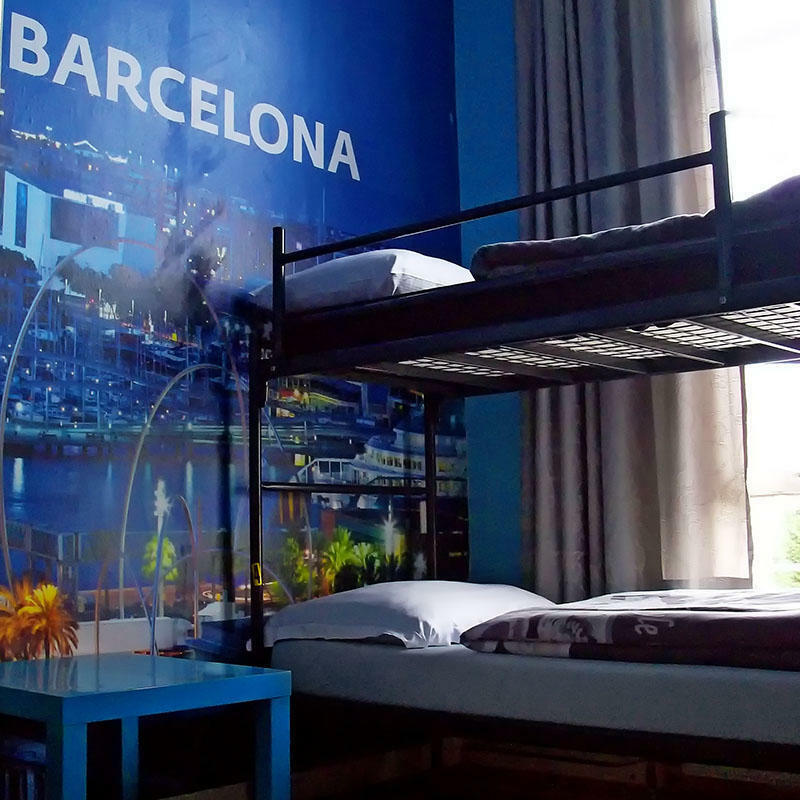 All cancellations for these periods; Queensday, Easter and New Years must be made to the hostel 2 weeks in advance before the arrival date and not arrival time. There is a full (100%) charge for the reservation (total cost) after this time. Cancellations and changes that are made after arrival or on arrival are charged at 100% of the total cost. If you are running late for check-in, please contact us to let us know. Payment is due upon arrival in cash only, please. City tax 7% not included We have a 7 days cancellation policy for all bookings. No-shows and changes after arrival shall be charged the 100% of the total booking. unfortunately we will not keep the reservation if we cannot get authorization. For shared dorm we have an age restriction min 18 years and max 45 years, and we have a max. stay of 5 days. the 100% of the total booking. 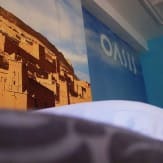 Group booking must pay a deposit of 100 euro a room for, and one passport, this we be given back when the rooms is checked and is ok.
Any damage to the room by the guest must be paid to hostel, and the hostel hold the right to check the person out without any refund at any time. Cancellation policy during special periods: During New Years (28th Dec to 2nd Jan ), Easter holidays, Queen’s Day (26th and 27th April), Pinkster and the IBC event (10th to 17th September ) we have a 20-day cancellation policy. Cancellations during these periods must be made 21 days before the arrival date (note arrival time). Late cancellations and no-shows will be charged for 100% of their total booking. When you reach the central station take tram 5 (on the right side of the station when you exit it). Get off at Museum Square (stop 10 - three stops after Leidseplein). When you get off the tram you'll be opposite the concert hall where you must go into the street on the right side of it. Located near the museums, Vondelpark and Leidseplein.